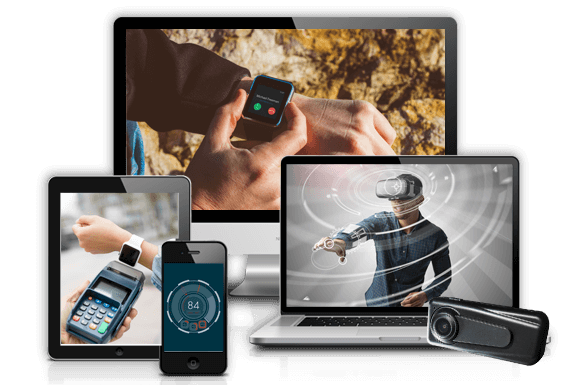 Chetu’s experts provide fitness software solutions such as wearable fitness architecture for fitness tracker band technology, and wearable fitness technology with features such as navigation and distance tracking applications. We provide wellness software solutions, including physiological monitoring and emotional response measuring applications for heart rate, sleep, and stress monitoring, as well as design weight and energy consumption calculators integrated with pedometers. Our wearable health and wellness technology facilitates the smooth operation of foot pods using inertial navigation system (INS) capabilities, and wearable health device applications for gait and posture correction via virtual coaching. Our experts develop fitness and wellness technology software for smart clothing with features such as body cooling, heating and monitoring. We develop fitness monitoring software that supports data aggregation and intelligence dashboards for complete sport performance and fitness monitoring applications. Our experts develop wearable healthy dieting dashboards with data archiving modules for comprehensive diet tracking. Chetu is the premier provider of custom fitness and wellness software solutions for businesses worldwide. Consult our wearable software solutions specialists now to discuss how our wearable fitness technology services will help you overcome your software technology challenges.